He has specialized in cosmetic surgery for more than 25 years and believes that in order for the patient to look well, being healthy is most important. One important aspect of good health is to have adequate and well-balanced hormones in the body. He uses the Sottopelle system to acheive this in his patients. He also has a special interest and training in the field of sexual enhancement for both men and women. 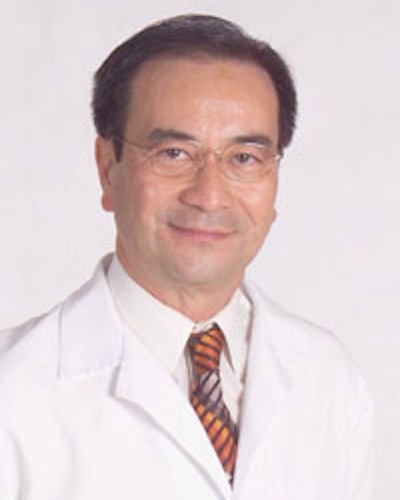 For women, he uses the O-Shot, ALMI Shot and RF treatment for vaginal rejuvenation, tightening and relief of stress urinary incontinence; and vaginoplasty surgery for tightening as well as correction of damages resulting from childbirth and changes after menopause. As a plastic surgeon, he specializes in improving the appearance of the genital area doing labiaplasty and other procedures to acheive his results. For men, he gives the Priapus Shot, extra-corporal shock wave and other treatments for erectile dysfunction. When indicated, he puts in penile implants. He is the founder of the San Francisco Bay Area Stem Cell Treatment Center where patients from all over the world go for treatment. Fees for cosmetic surgery are generally not covered by insurance. A detailed quote for your proposed surgery will be provided after your in-office consultation. The consultation fee is free. Payment for cosmetic surgery is due in advance. We accept all forms of payment including cash, checks, debit card and Visa, Mastercard, Discover, or American Express. Financing is also available through Prosper Healthcare Lending and CareCredit.